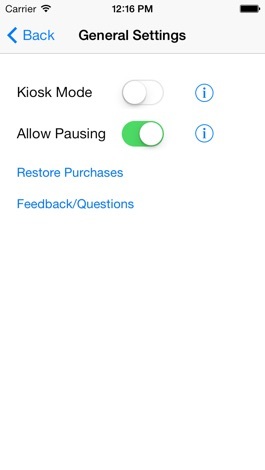 Banner ads can now be removed with an in-app purchase. Reorganize 'About' information. In addition to looping video you can customize the background image of the application to match your company's brand. Videos are added through iTunes, just connect your device and go the "apps" section. 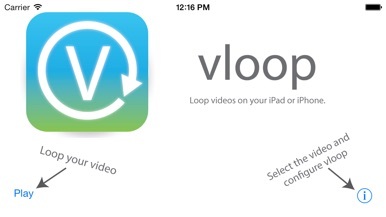 At the bottom, you will find vloop under "File Sharing"
• Download videos from your Box.com account. • Create a playlist and loop multiple movies! Tutorial videos included, showing you how to use vloop! Virtual Armageddon NASUBI is a shooting game. It was originally programmed with Java by the 2nd grader of the junior high school. This author became adult and has translated it to Objective-C for iPhone now. Let's enjoy a surreal and humming gaming world created by the 2nd grader. The only local multiplayer shooter on iOS! Are you ready to raid with friends? 1. Six playable characters with unique weapons. 2. Five mission levels with traps and switches. 3. Special Survival and unique Defense mode. 4. Challenges, achievements and stars! 5. Best enjoyed as a 2 player co-op! Classic arcade shooting fun!